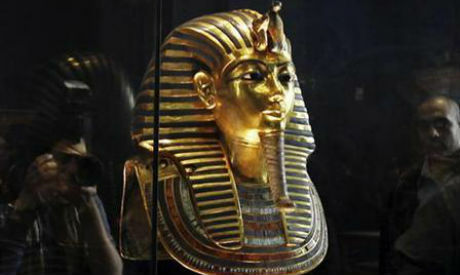 The Egyptian Museum's general supervisor has attacked strongly Arabic media reports that claimed Tutankhamun's gold funerary mask was badly damaged on Saturday when students visiting the museum allegedly knocked it to the floor. The world-famous artefact was in the limelight nearly two weeks ago when it was moved from its display case to a room on the same floor to undergo restoration work. General Supervisor of the Egyptian Museum, Khaled El-Enany, refuted the reports. He said no accident has affected the mask and it remains safe as restoration efforts continue. 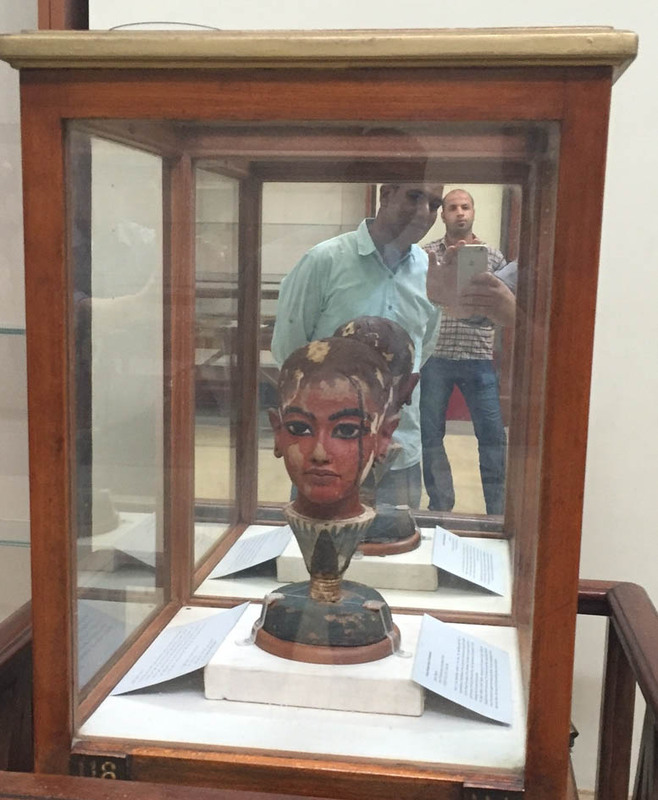 El-Enany explained that a small accident did occur during a school trip on Saturday when energetic students bounding round the exhibition halls rocked a display case, causing a small wooden statue of Tutankhamun to tilt briefly, but no permanent damage was done. El-Enany says he formed a committee within an hour to restore the wooden head to its original position and confirm that it was undamaged. Tutankhamun's golden mask is "off the museum's public display roster and is accessible only to experts and Egyptologists involved in its restoration," El-Enany told Ahram Online. He added the museum's leadership is always keen to encourage school trips and group visits to increase Egyptian students' awareness of their heritage and culture. "This matter will not in any way be a source of criticism for the [antiquities] ministry," El-Enany said. In January 2015 it was reported that museum officials had accidentally detached the mask's blue and gold beard during a cleaning process and that conservators had hurriedly glued the beard back on with epoxy resin, damaging the timeless artefact. On 10 October the mask was transported from its permanent display in the museum's jewelry hall to room 55, on the same floor, where it was subject to studies by a ministry-appointed team ascertaining the most appropriate methods for the restoration.